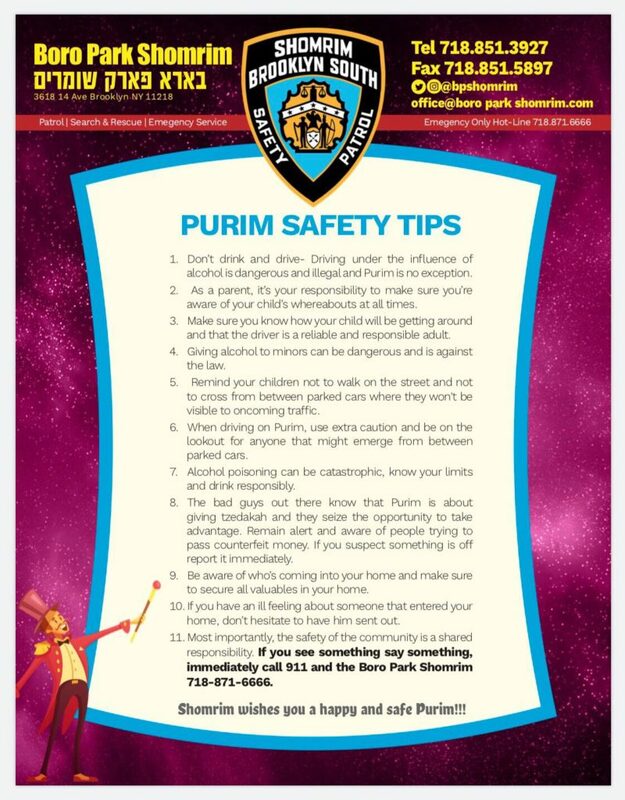 Home > Breaking > Shomrim Issues Important Purim Safety Tips. 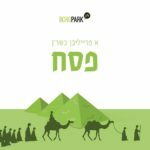 Don’t drink and drive- Driving under the influence of alcohol is dangerous and illegal- Purim is no exception. As a parent, it’s your responsibility to make sure you’re aware of your child’s whereabouts at all times. Make sure you know how your child be be getting around and that the driver is a reliable and responsible adult. Giving alcohol to minors is not only dangerous but is also against the law. Remind your child not to walk on the street or to cross from between parked cars where they won’t be visible to oncoming traffic. 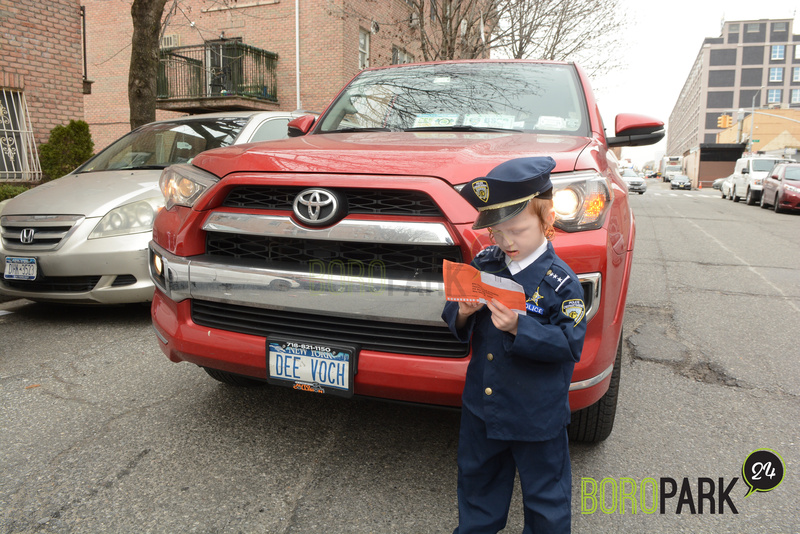 When driving the streets on Purim, use extra caution and be on the lookout for people that might possibly emerge from between parked cars. Alcohol poisoning can be catastrophic, know your limits and drink responsibly. The bad guys out there know that Purim is about giving tzedakah and they will try to seize the opportunity to take advantage. Remain alert and aware of people trying to pass counterfeit money. If you suspect something is off, report it immediately. Be aware of who’s coming into your home and make sure to properly secure all the valuables in your home. 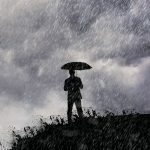 If you have an ill feeling about someone that entered your home, don’t hesitate to have him sent out. Most importantly, the safety of the community is a shared responsibility. 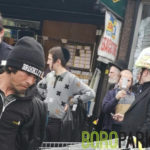 If you see something say something, immediately call 911 and the Boro Park Shomrim 718-871-6666. 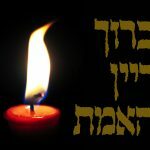 Shomrim wishes you a happy and safe Purim!! !